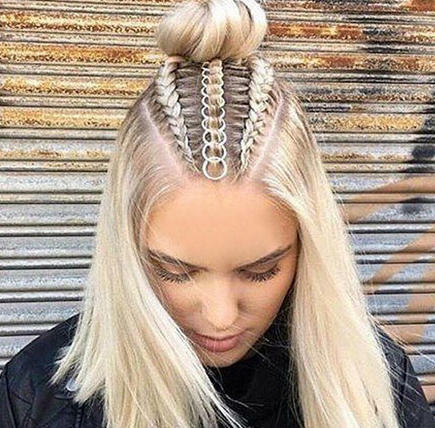 It’s official; hair rings are the only way to accessorise your look this festival season, with Ariana Grande, Kim K and Katy Perry all looping tiny hoops through their boho braids. Team wavy hair with two loose braids on either side of your head, then wind the plaits together to create a low, loose bun at the back. Through each braid, loop your hair rings so that they’re evenly spaced apart. Finish with Wella Professionals EIMI Flexible Finish for incredible hold. 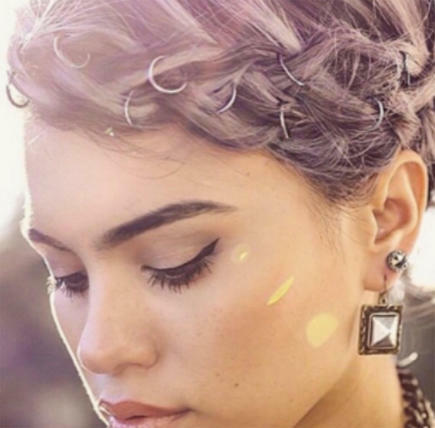 Toughen up a pretty halo braid. To give hair grip, mist lengths with Wella Professionals EIMI Dry Me first, which will add texture and a matte finish. 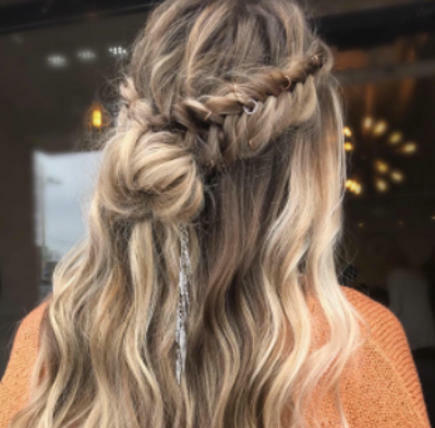 Interlace each twist of your braid with hair rings, then finish with studded earrings to channel a rock ‘n’ roll romantic look that’s bound to stand out in the crowd. Add jewellery to your boho braids by piercing skinny side plaits with hair rings. To get this tousled texture, scrunch Wella Professionals EIMI Ocean Spray into damp hair first, and let it air-dry into a beachy wave. Straighten lengths, create sleek Dutch braids, and pull your hair back into a half-up bun. Then, place the rings through the centre plait to create a striking statement. To add some extra shine and hold, mist with Wella Professionals EIMI Glam Mist, which also protects festival-ready hair from the effects of UV rays. Find more festival hair inspiration in our Wella Hair Family Gallery, and follow @WellaHair on Instagram for the hottest summer hair looks. Make sure to tag us in your photos with #WellaHair #StylistsDoItBetter to show off your latest styles and be featured on our social channels. Looking for a new ‘do? Find your nearest Wella Professionals stylist with our Salon Finder.